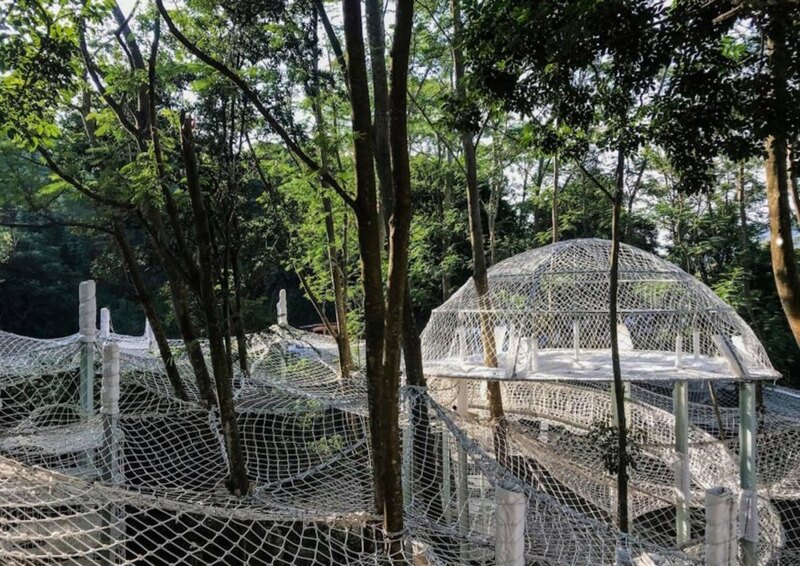 You don’t need to know how to climb a tree to enjoy this marvelous climbing maze suspended in a Guangdong forest. When a school affiliated to the Luofu Mountain Chinese Classics Institute wanted to encourage children to pursue more physical activity, it tapped Chinese design studio unarchitecte to design a place to play in the forested valley. 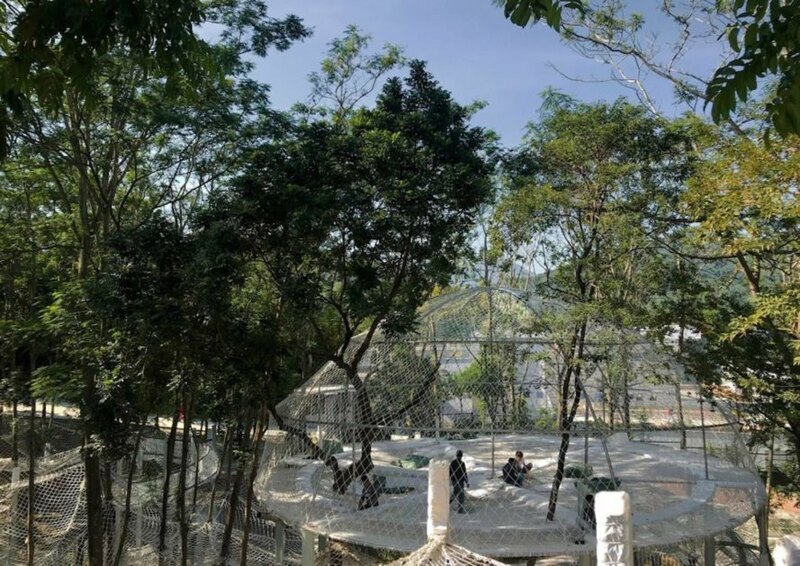 Taking inspiration from nature, the designers created the Climbing Park of Luofu Mountain, a system of white nets and climbing areas elevated into the air that promotes a closer connection with nature. Careful consideration was taken to protect existing healthy trees during the construction process, while precautions were also taken to avoid damaging tree growth. Metal posts were installed to provide extra support. Hundreds of white triangular nets were pieced together to form an undulating surface with dips and rises evoking the surrounding topography. 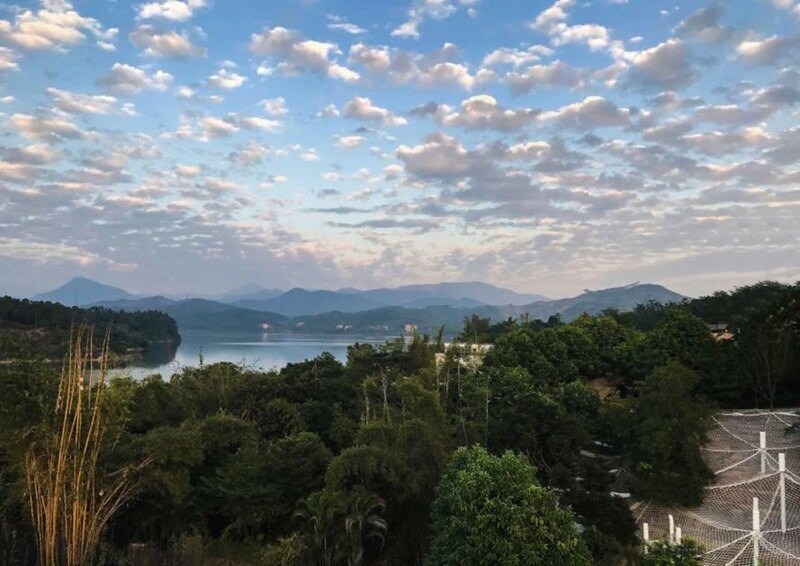 You don’t need to know how to climb a tree to enjoy this marvelous climbing maze suspended in a Guangdong forest. When the school affiliated to the Luofu Mountain Chinese Classics Institute wanted to encourage children to pursue more physical activity, the school tapped Chinese design studio unarchitecte to design a place conducive to play in the forested valley. 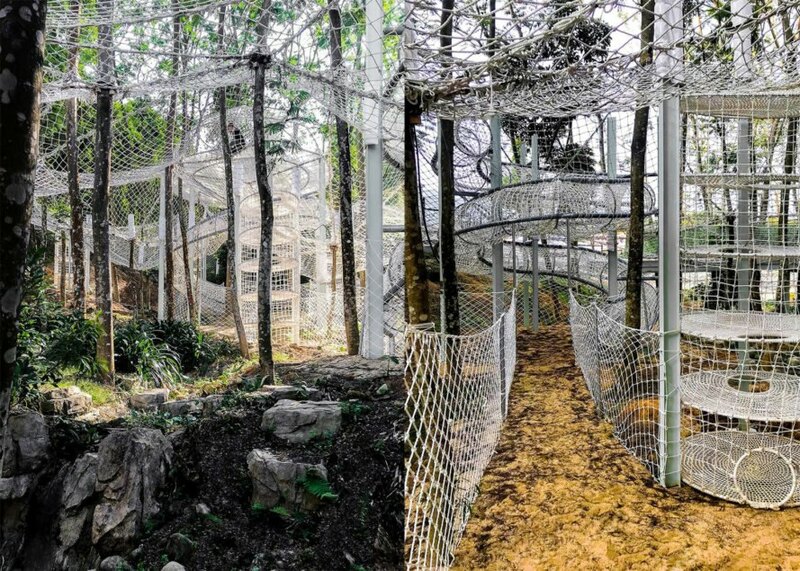 Taking inspiration from nature, the designers created the Climbing Park of Luofu Mountain, a system of white nets and climbing areas elevated into the air that promotes a closer connection with nature. 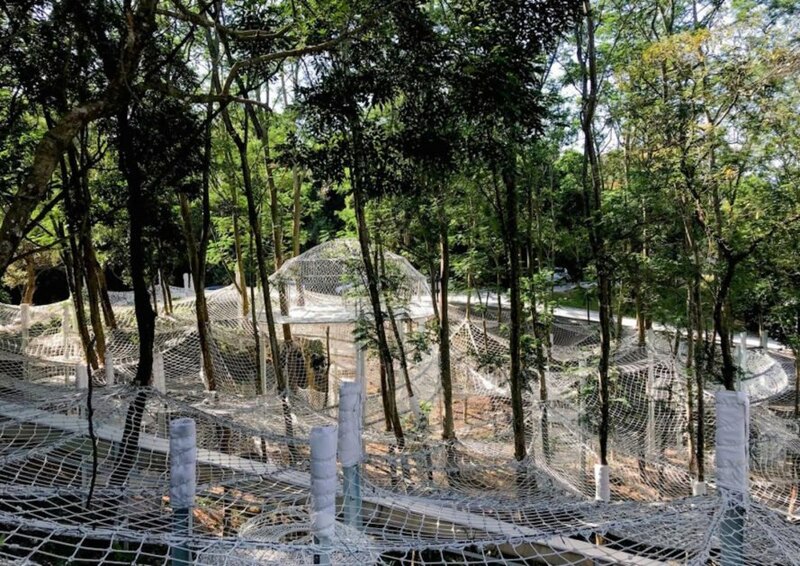 Careful consideration was taken to protect existing healthy trees during the construction process, while precautions were also taken to avoid damaging tree growth. Metal posts were installed to provide extra support. Hundreds of white triangular sections were pieced together to form an undulating surface with dips and rises evoking the surrounding topography. Children can explore the Climbing Park from multiple entrances, while adults (who are also invited to play up above) can supervise down below. In addition to the nets surface, the designers also included other net structures like spiral tubes and hemispherical tents.